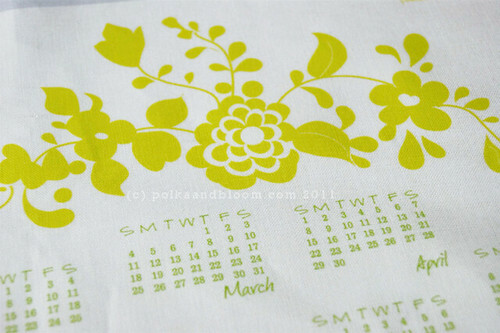 polka & bloom: Make 2012 a Polka & Bloom year! 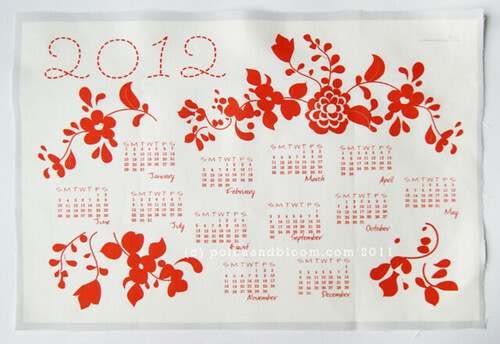 Make 2012 a Polka & Bloom year! 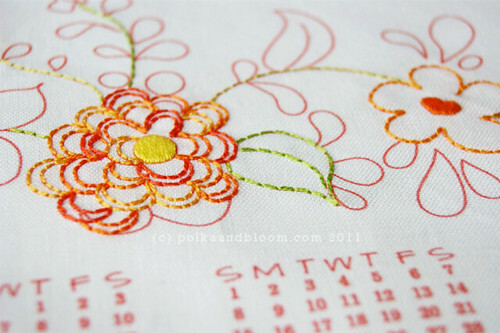 I've been stitching on something brand new: 2012 Polka & Bloom calendar panels! So very exciting! They're the perfect gift or just something to make for yourself. 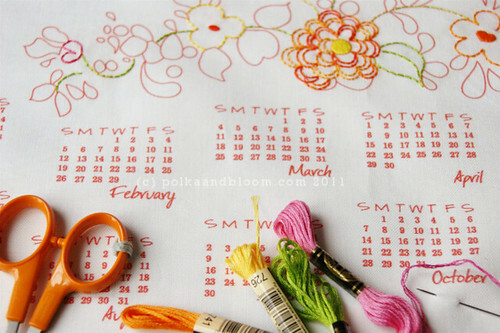 You can stitch over the lines in the design, with 2-3 strands of floss you should be able to cover them fairly well with any colour you like. 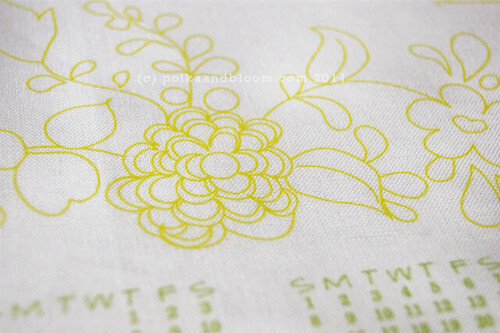 Or add buttons, beads or whatever embellishment you fancy. Make it your own! There are two different colour ways: red and green. And two different types: a delicate linework version and one that's a bit more full-on with the colours. Only two available of each version at the moment. So get in there while stocks last. Such a lovely idea, Carina!